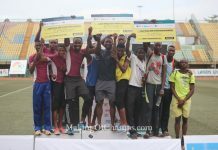 Success Umukoro and Blessing Oladoye are the latest athletes from MoC to be awarded a sponsorship deal. 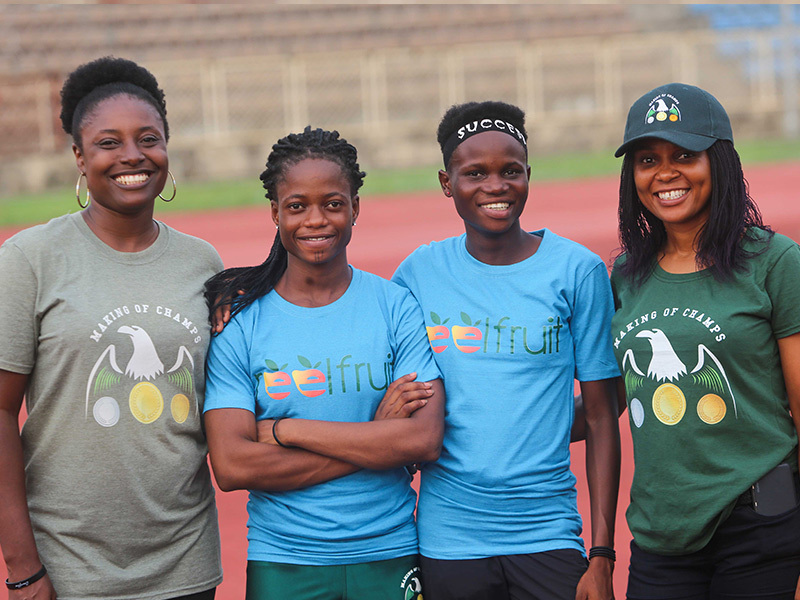 Making of Champions (MoC) Track Club athletes, Blessing Oladoye and Success Umukoro have enjoyed a massive boost in their careers with the pair becoming beneficiaries of a sponsorship from ReelFruit, a dried fruit snacks company headquartered in Lagos. ReelFruit’s wide range of fruit and nut snacks retail in over 250 stores nationwide and are served on local and international airlines and at schools, hotels and restaurants. 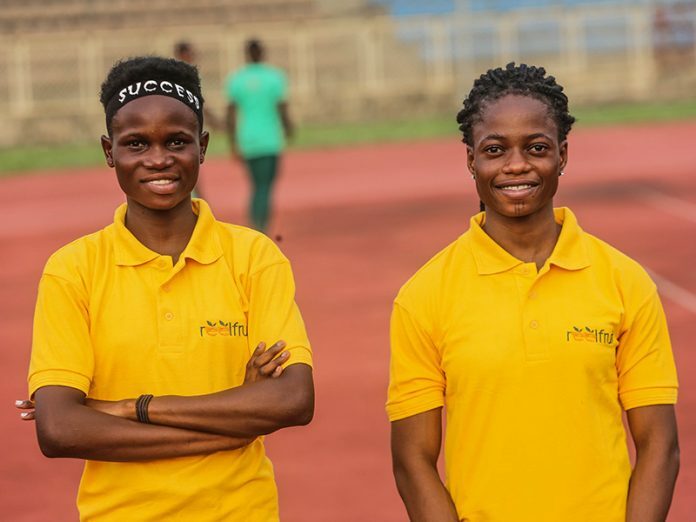 The pair was unveiled as Reelfruit-sponsored athletes on Thursday, April 4th, at the Otunba Dipo Dina Stadium in Ijebu-Ode, Ogun State, ahead of the Athletics Federation of Nigeria (AFN) All-Comers Meet holding on Friday, April 5th. MoC Athletes Blessing Oladoye and Success Umukoro are beneficiaries of a sponsorship by Reelfruit. 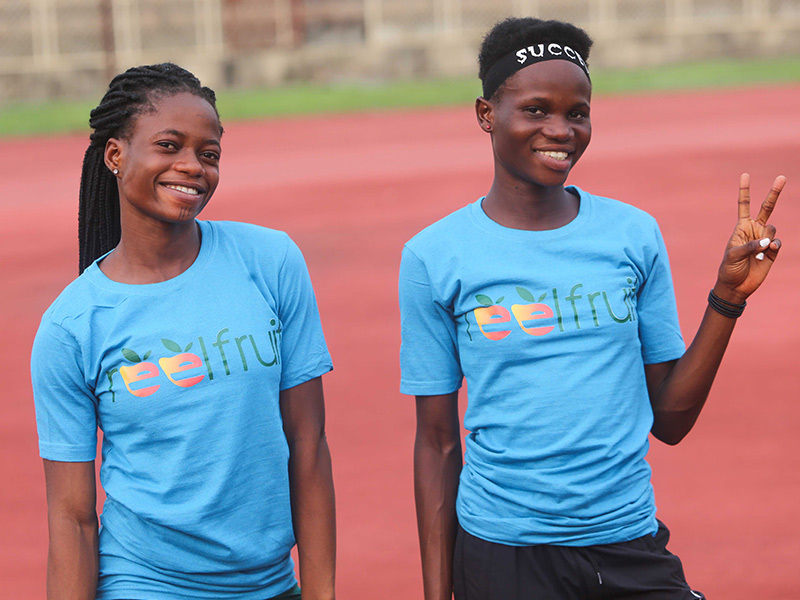 The three-month Sponsorship from Reelfruit follows the impressive performance of both athletes at the 2019 National U18 and U20 Trials held in Ilaro, Ogun State last month. 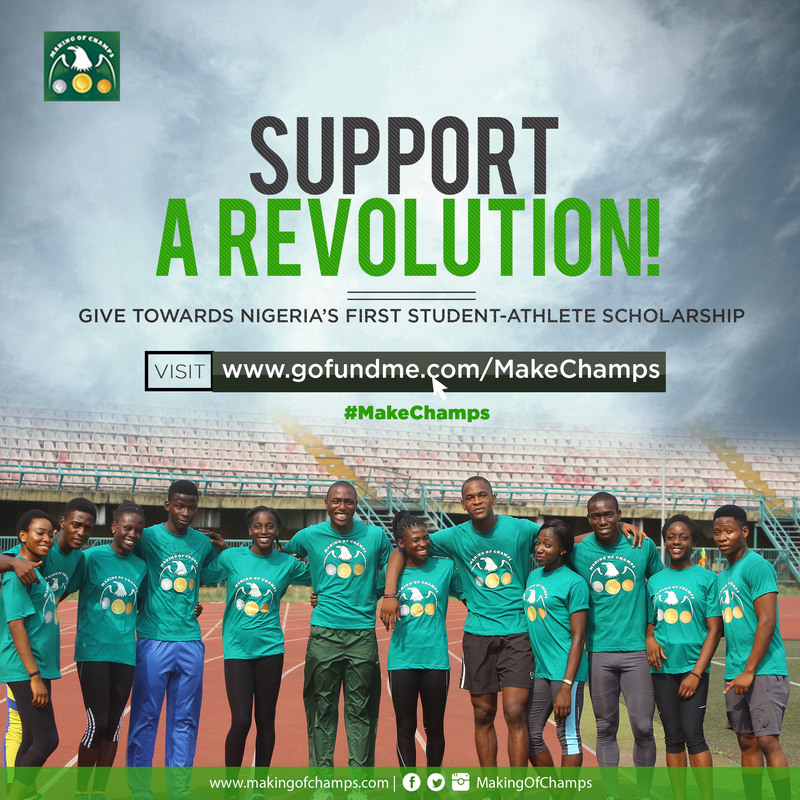 It will cover the travel, accommodation and boarding expenses for both athletes for competitions within Nigeria, as well as their tuition as Oladoye and Umukoro are currently preparing for their university entrance examinations. 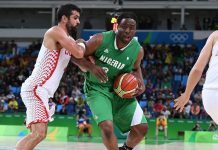 Speaking with Making of Champions after the unveiling, Reelfruit Assistant Brand Manager Olajumoke Oke stated that the decision of the company to sponsor Oladoye and Umukoro is in line with the company’s vision. 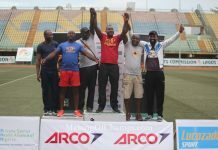 (L-R): MoC Senior Sportswriter Yemi Olus, Blessing Oladoye, Success Umukoro and MoC’s Athlete Performance Manager Adaora Asiegbu at the unveiling on Thursday. She said, “We decided to sponsor Blessing Oladoye and Success Umukoro because we are a dried fruit snacks company that inspires the best of local to make it global. We are identifying local talents with MoC and supporting them to a global scale. 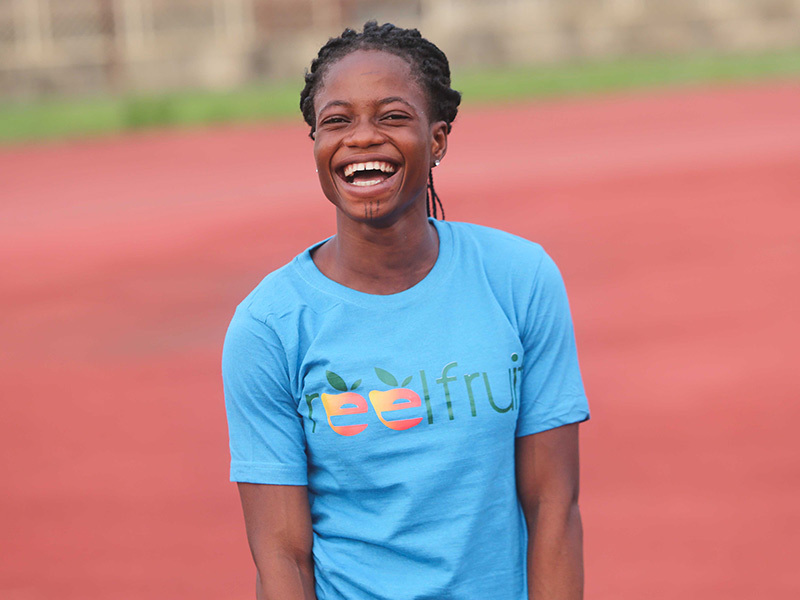 Blessing Oladoye can barely contain her excitement at being sponsored by Reelfruit. 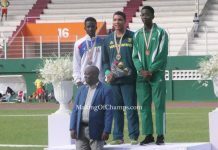 Oladoye emerged a Silver Medallist in the women’s 400m in Ilaro, having clocked the overall fastest time in the U20 category with her Personal Best (PB) of 55.75s with which she won her heat. The 18-year old’s inspiring outing in Ilaro led to her being named on the National Team to the forthcoming African U18 and U20 Championships in Abidjan, Ivory Coast, where she has been penciled down to compete in the women’s 4x400m. Following in the footsteps of her older sister Funke who represented Nigeria at the 2014 Commonwealth Games in Glasgow and the 2015 IAAF World Championships in Beijing, Blessing was unveiled as an MoC athlete in November 2017 ahead of the 2018 Athletics season, having been discovered at the 2016 Top Sprinter competition where she won her heat, and then claimed GOLD in the final. 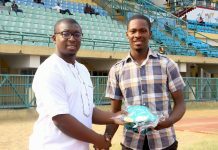 Blessing Oladoye being presented with her Reelfruit T-shirt by MoC Senior Sportswriter Yemi Olus at the Otunba Dipo Dina Stadium in Ijebu-Ode. 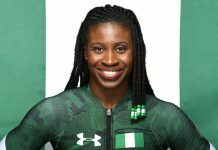 Oladoye enjoyed a fruitful 2018 season that saw her competing at various meets across the country, culminating with a semi-final placement at the National Sports Festival (NSF) in Abuja last November where she set a then PB of 55.78s. She will be aiming to get on the podium at the African Juniors holding in Abidjan from April 16th to 20th. 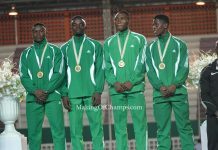 Umukoro on the other hand competed in the 100m and 200m at the National U20 Trials. 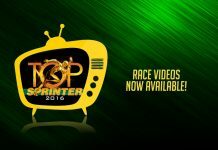 Running on the inside lane, the MoC athlete claimed victory in her 100m heat in 12.39s. In her semifinal race, she finished 2nd in 12.26s. She eventually settled for 5th place in the 100m final and 4th in the 200m final. 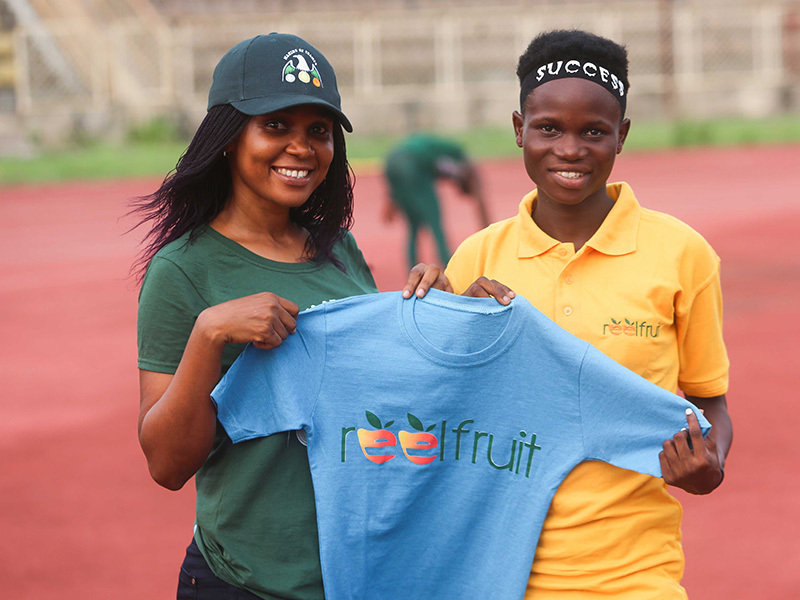 Success Umukoro is pleased with the support of Reelfruit towards her budding Athletics career. 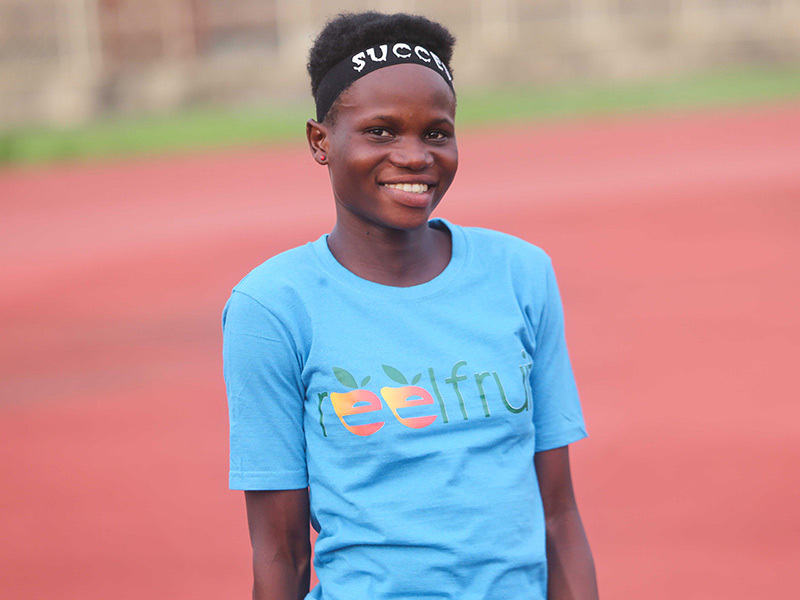 Umukoro caught MoC’s eye at the Athletics Trials held by the club in Ughelli, Delta State, in September last year, where she won the Girls’ 100m final in 11.9s and made it double victory, winning her 200m heat in 25.1s. This qualified her for the Enugu final where she dominated her 100m heat and finished 2nd in the final in 11.8s. She also finished 2nd in the 200m final where she clocked a time of 24.9s. 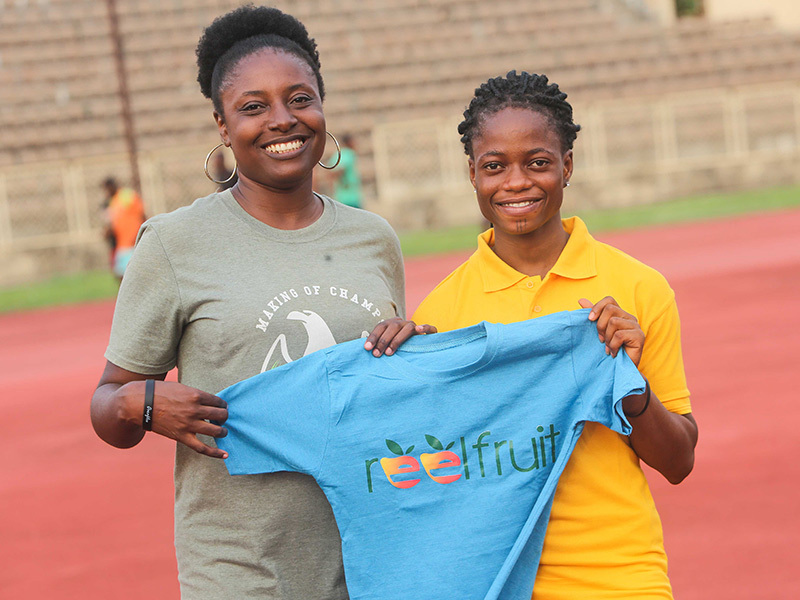 Success Umukoro being presented with her Reelfruit T-shirt by MoC’s Athlete Performance Manager Adaora Asiegbu at the unveiling in Ijebu-Ode. A few weeks later, she represented her school, Afiesere Secondary School at the Government College Relays in Ughelli where she finished Top 3 in both the 100m and 200m, and was a member of the Gold-winning 4x100m Mixed Relay team. 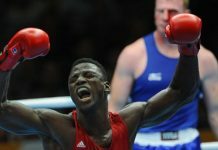 She was subsequently relocated to Lagos by MoC to pursue her dreams of becoming a professional athlete. 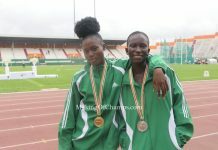 Oladoye and Umukoro join the growing list of MoC athletes currently benefitting from sponsorships from corporate organizations like ARCO Group (Joy Udo-Gabriel and Jerry Jakpa); ND Western (Bowofoluwa Egbeyemi); NDEP (Mercy Umoibang), and Shell Nigeria Exploration and Production Company (Emmanuel Ojeli and Favour Ekpekpe).